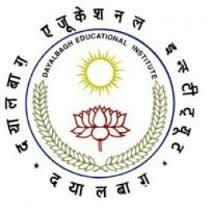 Dayalbagh Educational Institute Agra announces Teaching vacancy for the suitable candidates. Assistant Professor : 28 positions. Process to Apply : Candidates who wants to apply for this job are suggested to send the form to the Registrar office before expiry date 02/08/2016. Please view website for more detail at http://www.dei.ac.in/dei/files/notices/2016/Vacancy_Notification_for_Teaching_PostsNC-June-2016.pdf and visit available at http://www.dei.ac.in/dei/files/notices/2016/Application_FormateNC-30_6_2016.pdf for application form.